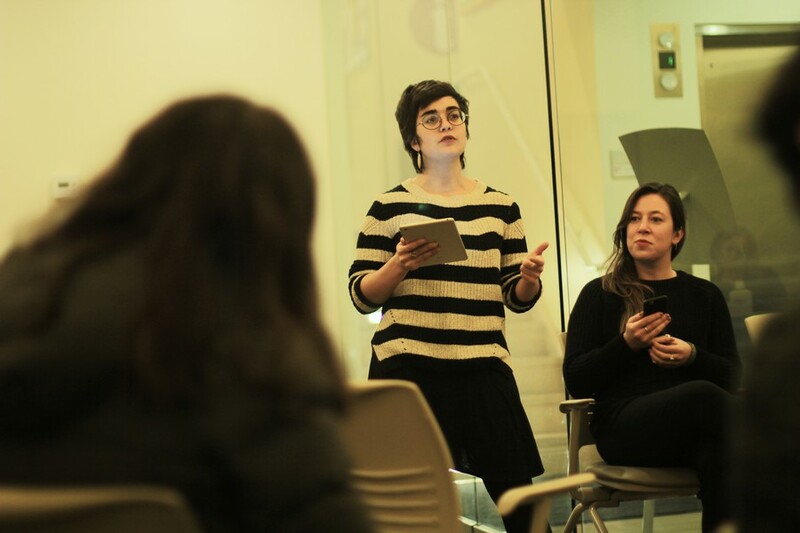 On Thursday evening, University graduate students gathered at the Center for Identity and Inclusion to discuss questions regarding the ongoing unionization initiative. This process towards unionization took full effect following the National Labor Relations Board’s recent decision to recognize graduate student workers, allowing for a graduate student union. This event, entitled Unionization 101, was hosted by Graduate Students United (GSU), the graduate student organization seeking union recognition from the University. The event was organized to inform graduate students about the benefits of unionization in preparation for an upcoming vote for unionization, as well as to provide a platform for current GSU members to express their concerns and experiences. The hour began with several testimonies from current GSU members, each of whom addressed an aspect in which organization has improved graduate student life since GSU’s establishment in 2007. These ranged from providing a sense of community and social solidarity, to campaigns for improved health insurance policies, subsidies for student parents, and resources for financial advice. In a letter to The Chicago Maroon in May 2016, GSU responded to professor Jason Merchant’s claim that GSU was uninvolved in the conception and implementation of University-led graduate student life benefits. GSU speakers were joined by Jeff Schuhrke, a Ph.D. student at the University of Illinois at Chicago (UIC). Mr. Schuhrke volunteers his time to UIC’s graduate student union, Graduate Employees’ Organization (GEO), and works as its grievance chair. He refuted the idea that unionization will lead to uncontrollable repercussions that will harm the University, instead referring to the graduate workers’ union contract as a “bill of rights in the workplace.” The meeting was followed by an informal Q&A session which addressed the concerns of various graduate students in attendance; these issues ranged from questions of how prospective rebudgeting might affect research funding to comments on the role students in the University’s professional schools will play in the unionization process. "We hope to vote as soon as possible," Juliana Locke wrote in an e-mail to The Chicago Maroon. Locke is a second year master’s student in the Divinity School and member of GSU. “Right now we're still campaigning and trying to hear from a wide and representative body of graduate workers about the issues most important to them so we can accommodate everyone."